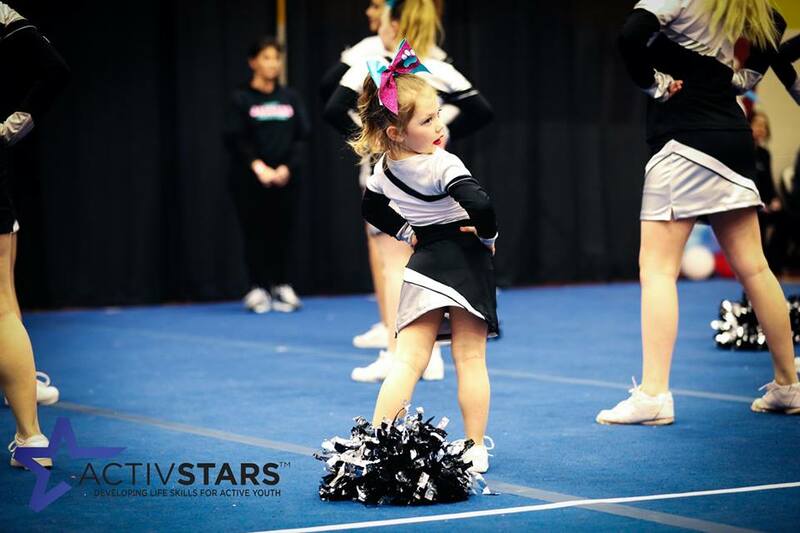 Athletes love to show their spirit and progress, starting at a very young age. 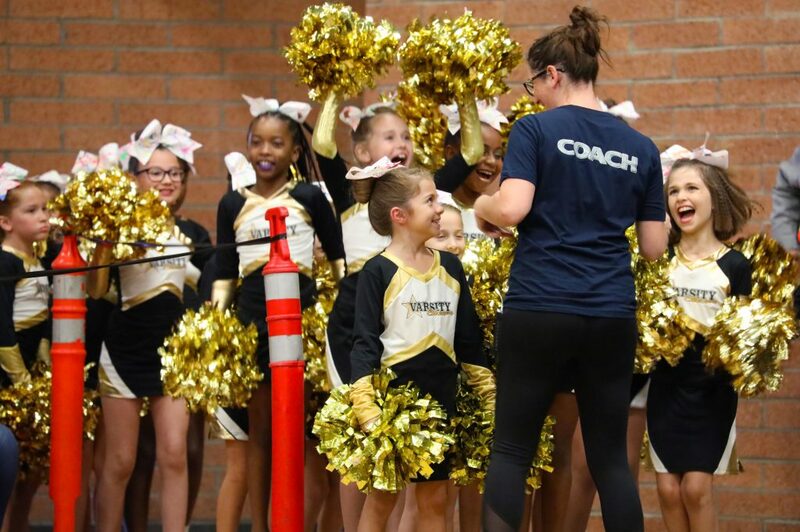 ActivStars Youth Cheerleading is designed to help them learn everything they’d want to know about cheerleading and pom dance in a single program. We use a modern curriculum that emphasizes team building & sportsmanship. 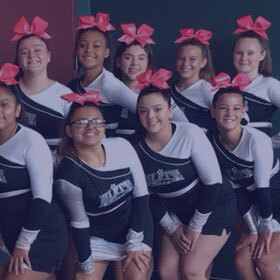 It’s the perfect way to introduce fun and teamwork with chants, arm motions, jumps, kicks, and even some stunts for more experienced cheerleaders. 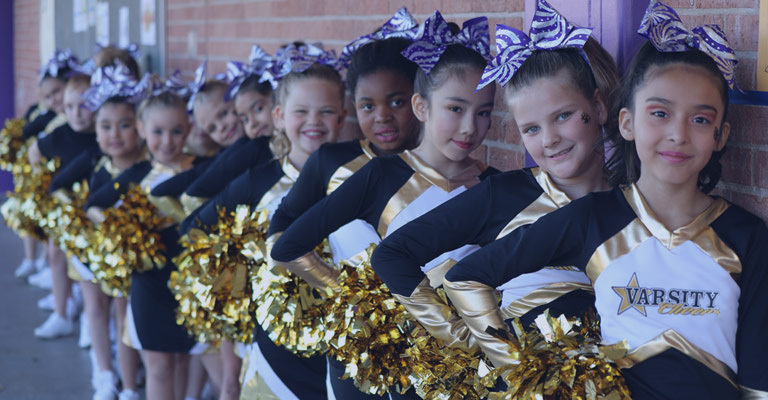 With five levels of cheerleading based on age and ability, we offer the most rewarding way to be part of a squad. Come be a star! 45 minute practice, $9 fee, poms required. 60 minute practice, $10 fee, poms required. 90 minute practice, $12 fee, poms required. Each Spring and Fall semester we hold a special cheer clinic for JV and Varsity students. Check out our stunt classes for Jr. All Stars, Pro, and Elite cheerleaders. Attend our end-of-semester event and earn the chance to participate in the Desert Regional Cheer Competition. Students with perfect attendance are invited to try out for twenty different squads!